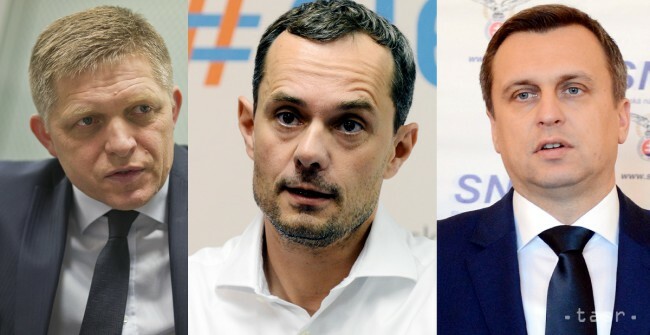 Bratislava, February 27 (TASR) – Greece should be ousted from both the Schengen Area and eurozone, concurred Slovak Prime Minister Robert Fico (Smer-SD) and extra-parliamentary parties Siet and Slovak National Party (SNS) leaders Radoslav Prochazka and Andrej Danko, respectively, on a general election debate on RTVS on Saturday. According to Fico, Greece has been causing significant troubles to the Schengen Area and eurozone, so it’s about time to consider excluding it from both projects. „It’s necessary to protect the outer Schengen border, while Greece isn’t fulfilling this task,“ said Fico, adding that if it emerges that thousands of migrants continue flowing through Greece further to Europe, the protection of the outer Schengen borders should be shifted to Macedonia and Bulgaria instead. The prime minister further declared that if the migrant routes to Germany change, with migrants beginning to pass through Slovakia, the next government (after the March 5 election) should detain every illegal migrant and return them to the country they came from. Prochazka stated that Europe has a moral right to protect its borders and those who come to its territory should observe existing rules. When it comes to Greece, Prochazka claimed that „it’s necessary to let Greece leave the Schengen Area and eurozone, because it’s a failing state“. When asked by the anchor whether – if he were prime minister – he would vote for expelling Athens from the two projects, Prochazka said that „probably yes, most probably“. As for the mandatory quotas on distribution of migrants among individual EU countries, Danko stated that they’re at odds with fundamental human rights. „We can’t sort these people out and then sent to countries they don’t want to live in,“ he stressed. 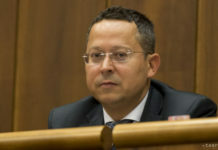 Prochazka added that his party would agree only with accepting entire immigrant families, because he believes that they could be integrated into society.